I spent five minutes trying to take the perfect screenshot for the top of this post on Radical Fish Games’ CrossCode. First my party members wouldn’t get into position. Then other players kept running through the scene. These are typical massively multiplayer online RPG problems, only CrossCode isn’t a real MMORPG. 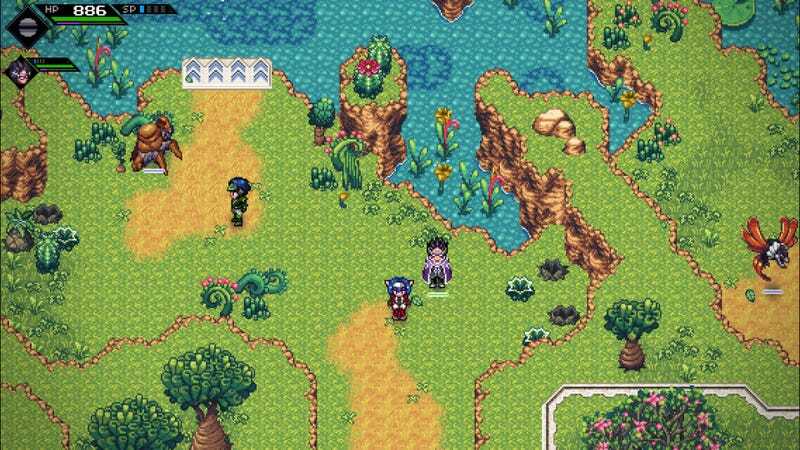 In development for ages and officially released last month on Steam following an extended stint in early access, CrossCode is a fast-paced retro-styled action role-playing game that takes place inside of a popular MMORPG. Players take on the role of Lea, a blue-haired mute amnesiac whose only hope of regaining her memory and voice is to play through an online game. That online game is CrossWorlds, a futuristic online adventure that sends players on a pilgrimage to collect elemental powers. Lea traverses the mysterious crescent-shaped land, completing quests given to her by the game’s many non-player characters. She collects items and does battle with fantastic creatures using the skills of her pre-determined character class, the Spheromancer. Spheromancer is not a very popular class in the meta game’s meta. Apparently it’s difficult for MMO players to master the twin-stick shooter style action of hurling balls of energy at enemies. Thankfully it works quite well in the context of the blazing-fast action RPG that CrossCode actually is. Firing Lea’s spheres across the screen to take out creatures great and small is as satisfying as ricocheting them off walls to flip switches in the game’s extensive (and unfortunately solo) dungeons. But CrossCode really shines when Lea teams up with other players. Folks like Emilie, AKA Emilienator, a brawling Pentafist hailing from France. As she and Lea explore CrossWorlds, Emilie is always ready with a quip or a comment. She has a tendency to stay up too late while playing, letting the game interfere with her schoolwork, but she’s super dependable. She’s also obsessed with the laser bridges that often connect different areas of the game’s maps, which is adorable. 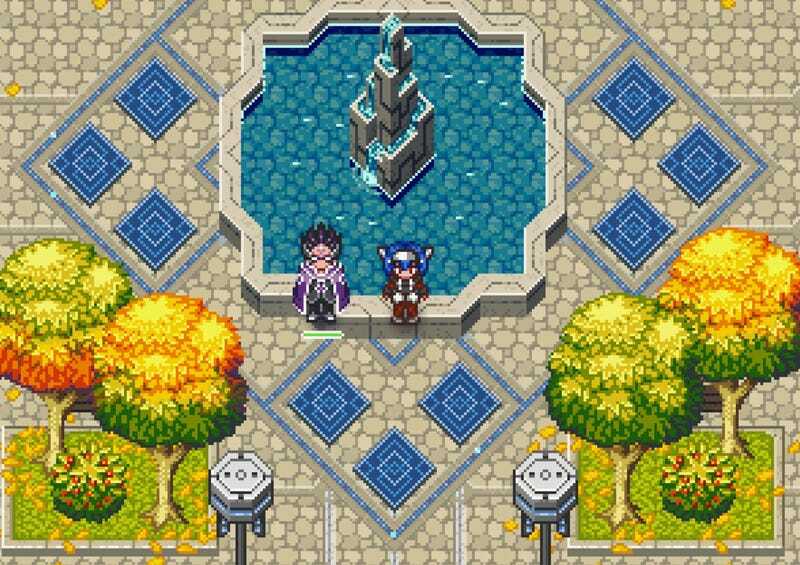 CrossCode is a game to play with other people. Yes, they’re fake, but they are so nice to have around. When you’re staring at a treasure box that’s seemingly out of reach of Lea and friends’ platforming abilities, studying other players can provide clues on how to proceed. When you’re involved in a fierce battle against a horde of hedgehogs, it’s reassuring to see other people run by, ignoring your plight completely. It’s the best part of the MMMORPG experience, without any of the frustrations (arguments, Chuck Norris jokes). While deep down inside I realize that CrossWorlds is just the illusion of an MMORPG, I still feel a little embarrassed when I do something stupid like die or pose for a screenshot while other players are running about.